Not in my wildest dreams would I have ever came up with Brussels sprouts soup but I was moving and I didn’t want to fill my fridge so I used what I had. Amazing! It was devoured and loved. I knew that I had to share this soup idea. I originally used my own chicken broth but I don’t have any this time. 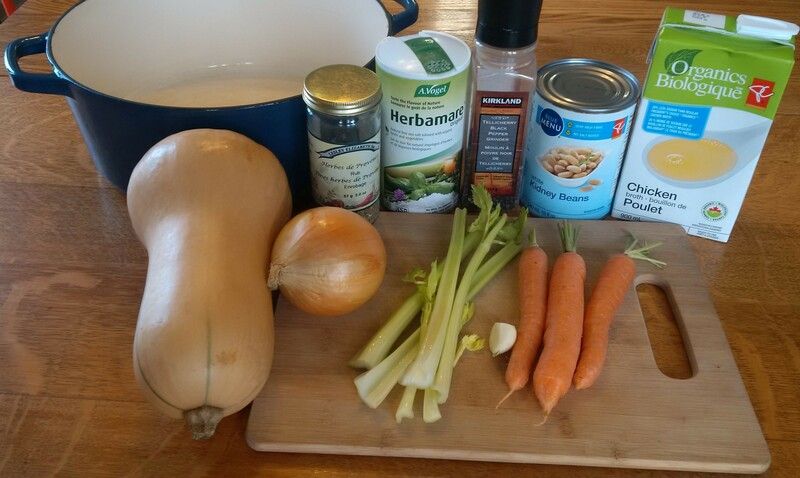 I brought this soup to share with others so to be on the safe side I made it vegan. For my protein I like assortment of mixed canned beans or lentils or quinoa or with whatever you have. I named it Festive brussels sprouts soup because it has a lot of red and green. Prep the vegetables. In a large pot fry the onion for a couple minutes then add celery and fry for a couple more minutes. Add carrots, garlic, pepper and parsley, fry for a few more minutes. Add the rest of the ingredients and bring to a boil, turn down heat and let simmer for 20 minutes. This makes a lot so half the recipe if it’s not feeding a lot of mouths. This is enough to feed my family twice and a little extra for my lunch. Prepping takes a while so trim and cut the brussels sprouts in advance. Always a hit with my kids! My daughter licked her bowl clean and that’s how you know it’s really good soup! 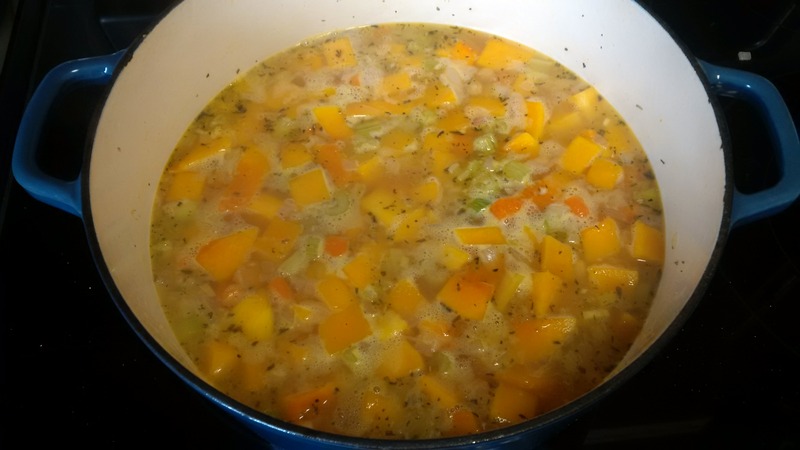 I love making soup because there are so many benefits like finishing off extra veggies, lots of health benefits and I make a big batch to eat for leftovers. Feel free to add more or less of something, also cauliflower is a great addition or use leeks instead of onion. In a big pot start by frying coconut oil with an onion for 2 minutes, then add Celery for a couple more minutes, then add Butternut squash and carrots for a few more minutes then add garlic, salt, pepper and herb de province, until you smell the garlic. Add broth and simmer until veggies are tender. Cool for 10 minutes then blend. 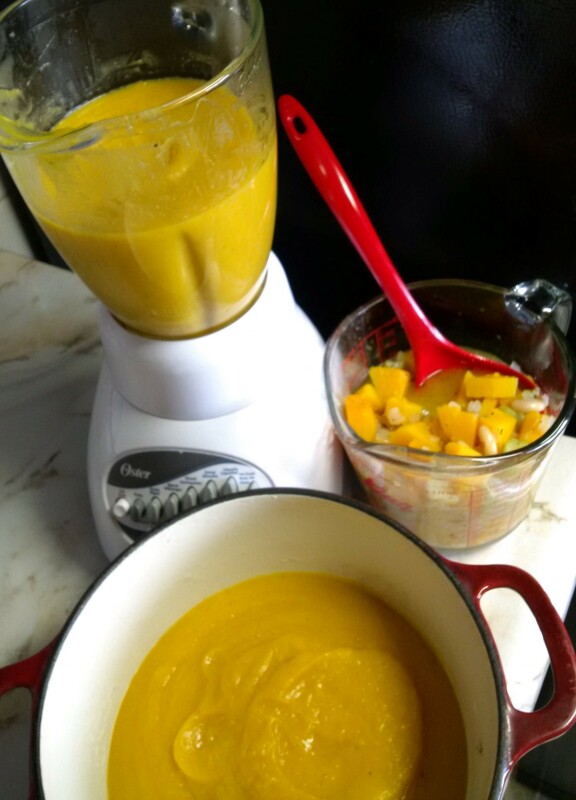 My blender works better than my food processor. 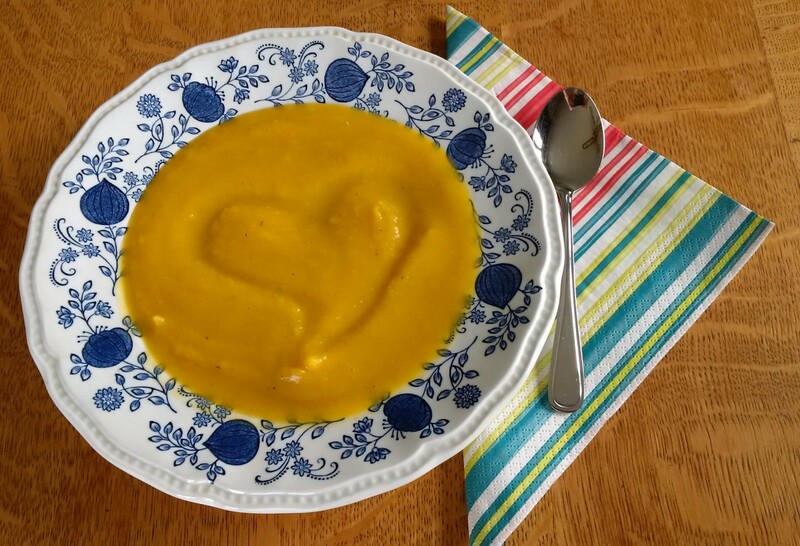 It’s a bit of a challenge transferring the soup so use a large glass bowl or large glass measuring cup. If you have an immersion blender you can use it. I use the beans as added protein and creaminess. Feel free to substitute with potatoes or cauliflower and sprinkle with hemp seeds later for added protein.